Made of sturdy saddle leather, our range of collars will prepare your four-legged friend for countless adventures, providing an endless amount of comfort when on its daily walks. Be the star of the dog park and give your best furry friend an accessory that makes their personality shine! 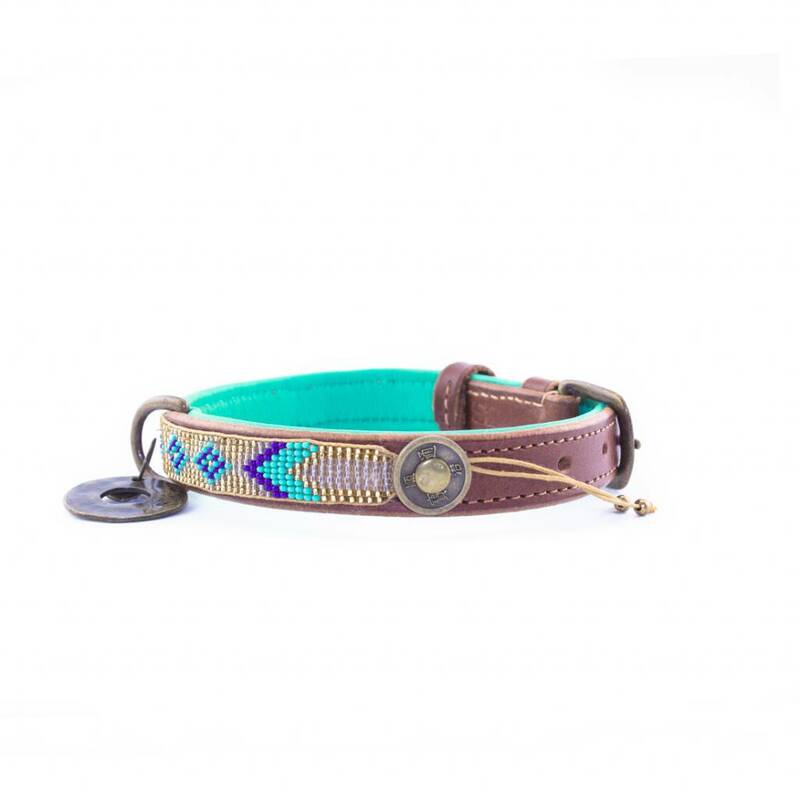 Handmade with love the Indi Moon collar has our signature turquoise throughout the middle and is crafted using strong leather. 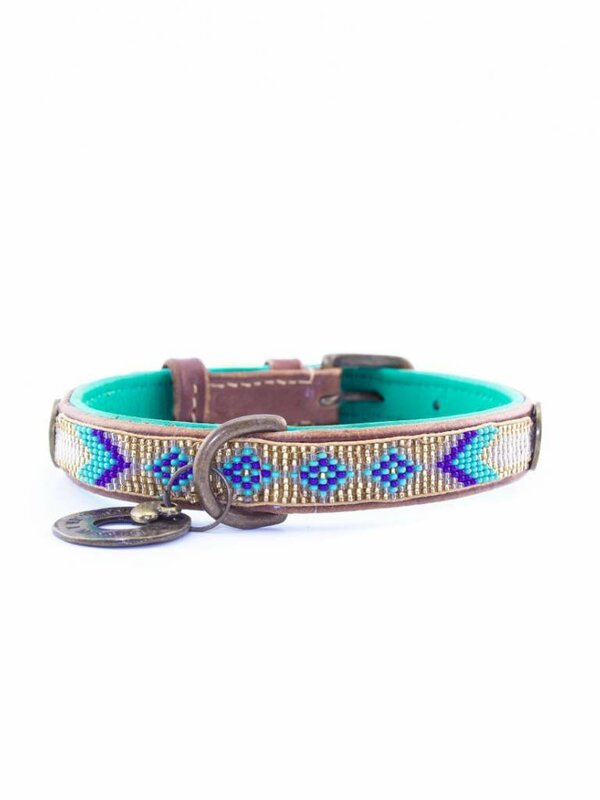 Beaded using seed beads the turquoise, blue and transparent colours used make this collar give it a classic design - making it suitable for both girl and boy pups alike. 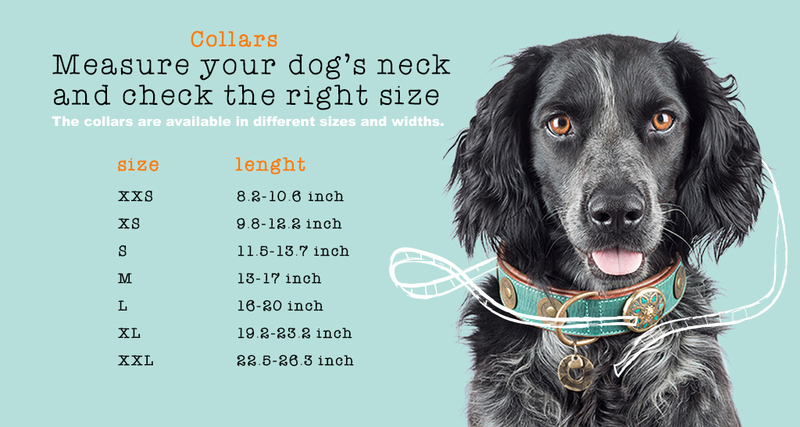 Available in multiple sizes with an adjustable buckle, our collars are a great investment - especially if your pup is still growing. 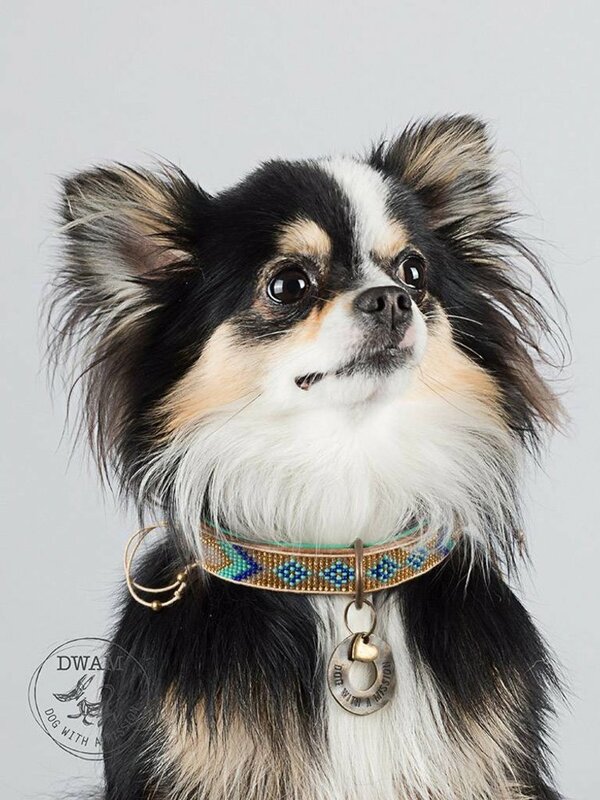 Our Indi Moon collar provides a snug and secure fit each and every time it’s worn. This special Indi Moon bracelet is a great addition to anyone’s jewellery collection! Match your furry friend with this bracelet and make all the other dogs and their owners want to match their furry friends too! 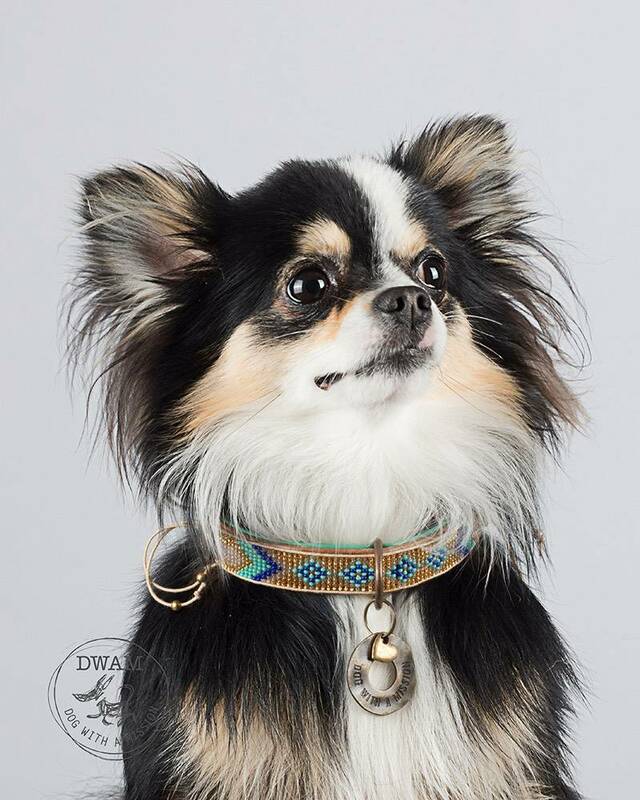 Much like our Jimmy Collar - our Jimmy Leash is part of a matching duo that is sure to fill your pup with the confidence it deserves. 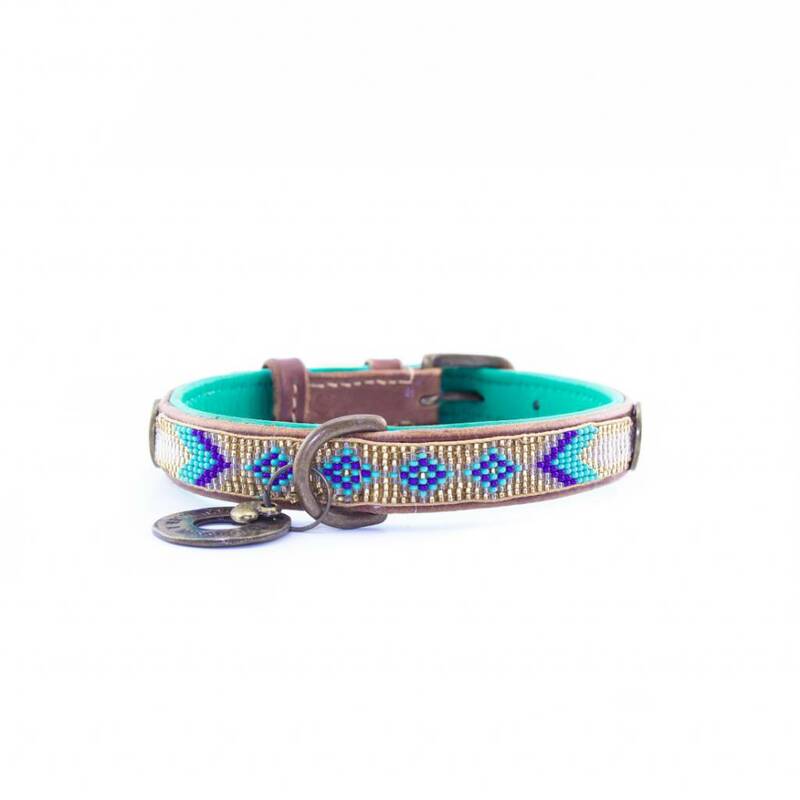 Adventures just got a little more colourful with our beautiful turquoise dog leash! A great product to pair with any of our collars. Our leash Sand is a real eyecatchter and fits perfectly to all our collars! 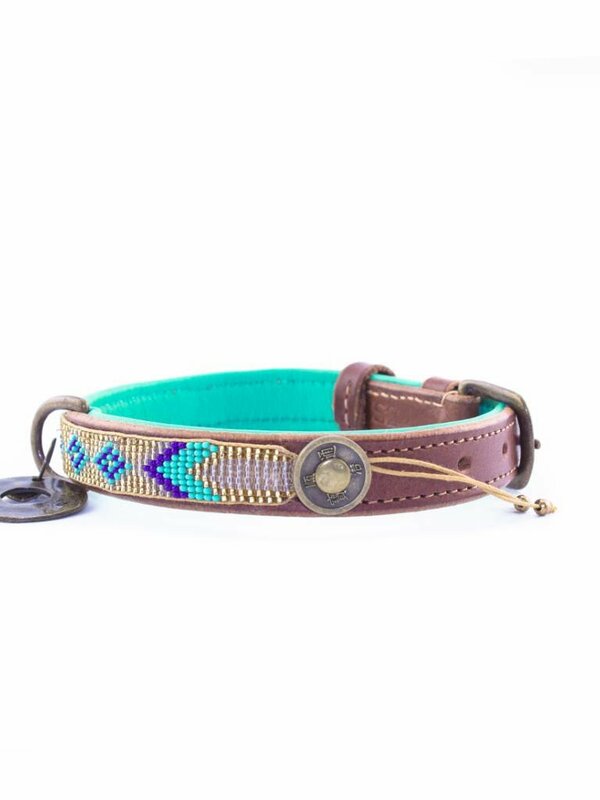 Our exciting Stella Blue collar is sure to make your pup the most colourful canine on the block!